How do I create a free website for my business? The ability to create a free website enables you to brand yourself or market your brand at no cost at all. It is a great opportunity for small business owners and fresh graduates to market their products and services online for free. No initial financial investment is required at all as long as you are available to build and maintain the website yourself. The best way to get a free website is by using free website builders. Wordpress and Blogger are among the most popular free hosting platforms in the market. However, there are other website builders in the market offering different solutions for different users. Wix free website builder comes with a drag-and-drop editing tool and hundreds of customizable templates for any type of website. Weebly website builder also has a drag-and-drop editing tool and customizable templates that you can use to create your online portfolio or free website for your small business. Strikingly website builder offers flexible designs for basic e-commerce sites and blogs. Site123 website builder comes with responsive templates and 24/7 live chat support and can be upgraded to support e-commerce. Jimdo gives you the opportunity to embed videos and contact forms on to your free e-commerce or blog, and also grow your social following through the easy social media integration functionality. IM Creator has free templates for simple e-commerce and blogging platforms. WordPress is famous for blogging and comes with free themes and flexible designs that you can change anytime. You can also use its woocommerce tools to build a professional e-commerce store. Webnode offers simple templates for free blogging and business websites. Webs.com is good for first-time websites and comes with integrated membership function, app store and e-commerce features. Mozello is best for simple multilingual blogs and e-commerce website. In order to build your own professional website using free website builders, you need to upgrade to the premium version which gives you the flexibility to come up with a custom website address and more hosting space. You can also hire Urbanacle developers to create you a custom website for you. This guide will take you through the steps of building your new website the easy way. Blogging is the modern day journal, as well as a marketing tool for your business. As an individual, you need to have a blog where you express your thoughts and also share your world with the rest of the world. A blog defines who you are. Are you a fresh graduate looking for a career? Nobody will know your capabilities until they interact with you. Blogging gives you the opportunity to interact with the world, hence giving them a preview of what is in your mind. If you don’t have any other work qualifications, make yourself known through a blog. 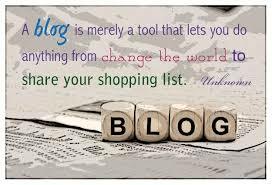 Blogging is a powerful marketing tool. Whether you own a business or are employed, people can gauge your level of expertise through your blog. If people realise that you are an authority in your industry, they will want to engage you at a more professional level Show people what you can do for them and why it matters, and the job will be yours. 1. 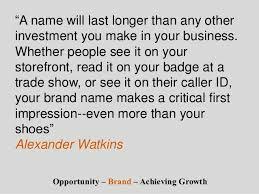 Select your blog name and a tag line or blog description. Your blog must have a name which can eventually be converted to an online address. For instance, this blog is called urbanacle. Come up with several name variations and write them down. Draft a slogan also that best describes what your blog is about. 2. Register your domain name. Once you come up with a name you like, you can now secure your online address using the name. You need to find out if your desired name is available. Have a favourite blog address that you want to register? Email us on [email protected] for assistance with domain name registration today. 3. Buy hosting space. The content you publish on your blog needs to be stored somewhere, and so the next step is to determine where your blog will be hosted. A simple blog can share server resources with other bloggers to keep your costs down. We can help you secure server space at a cheap price; email us on [email protected] for assistance. 4. Install a Content Management System. Once you get your unique blog address and hosting access, you need to log into the back-end and install a suitable content management system (CMS). This can be WordPress, Joomla, Drupal, Blogger among others. Select one and follow the prompts. 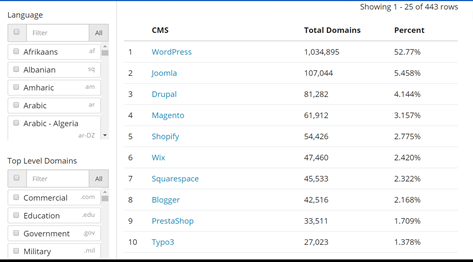 WordPress is the easiest to use and the most popular CMS by market share so you can start with WordPress. 5. Start publishing. Now that your blog is set up, write your first post! Images are important on a website as they make it look appealing. Adding an image to a post increases its clickability rate by 94 per cent. And this is pretty understandable. Imagine buying a shirt online based on a description. You need a white cotton shirt. There is a website with such a listing, but no image to show how it looks like! This is why every online business owner needs to invest in good images. However, adding images to your website needs to be done well so as to avoid slow website issues. Large images take a lot of bandwidth to load, and this is why it is important to optimise images before uploading. WordPress has image optimisers such as EWWW image optimiser which is free. You can also optimise for the web using tools such as Photoshop. Another hustle free way to optimise images is by using the tinypng.com online image resizer. If you are using WordPress, you certainly need some plugins in order for your website to work efficiently. However, installing too many plugins on your website can slow it down. Using outdated plugins is also said to increase security risks to your website, in addition to conflicting with your scripts. Plugins can also crash and hence affect the website performance. It is advisable to stick to less than 5 plugins especially if you are on shared hosting. Run regular updates and remove all outdated plugins, as well as test your site speed regularly. Remove or limit the use of plugins that slow down your website such as related posts plugins, jetpack, broken link checker, contact form 7, and Disqus. Unnecessary elements on your code make it bulky, slowing down your website. You may be tempted to think that adding page breaks and white spaces on your code will make it neat, but such codes are actually considered unclean! Clean up your code by removing the unnecessary elements mentioned above. There are various minifying tools that can help you with this. When you buy hosting for your websites, there are resources that you are allocated that may affect the performance of your website. If your website visitors are more than the allocated bandwidth, your website could slow down. Do not use shared resources if your website is essential for your business operations. Finally, do not host videos on your server. Is your website slowing down? Get experts help now. https://www.urbanacle.com/wp-content/uploads/2019/01/information-1985655_1280.png 720 1280 Urbanacle https://www.urbanacle.com/wp-content/uploads/2018/03/logo.png Urbanacle2019-01-13 10:40:322019-01-13 10:41:44Why is my website slow? So you have decided to make a new website? The first step in building a website is getting an appropriate domain name for it. This is the permanent address where visitors who are looking for your products will land. The question that bothers most website owners is; how do I get an ideal domain name?